The Italian shooter bear Rio 2016 bronze medalist Edward Ling of Great Britain in a breathtaking final. 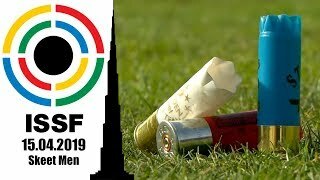 The Italian flag was risen once again atop of the podium of the 2017 ISSF Shotgun World Championship in Moscow, today, as Daniele Resca won the men’s Trap final with 43 hits out of 50 targets. Yesterday, his teammate Jessica Rossi claimed the women’s event with the same score. 31-year old Resca had never won an ISSF gold medal before, and he had never even participated in a world championship. Ranked 18th in the world, he beat Rio 2016 bronze medalist Edward Ling of Great Britain, leaving him in second place with 40 hits. 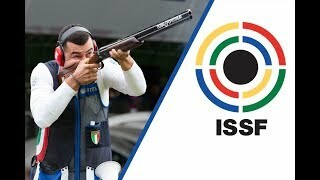 The Italian shooter led for most of the match, putting his victory at risk at the end of final, as he missed three out his last six targets. But Ling did not take advantage of his opponent’s mistakes, missing two targets out his last three. Jiri Liptak of Czech Republic took the bronze with 33 hits. The 2010 world champion Alberto Fernandez of Spain finished in fourth place with 25 hits. USA’s Derek Haldeman and India’s Kynan Chenai followed them in fifth and sixth place, with 21 and 17 hits, respectively. Resca celebrated twice today, as his result - added to the scores of his teammates Giovanni Pellielo and Valerio Grazini - lifted Italy atop of the teams’ podium with a tally of 362 hits. Liptak’s Czech Republic (Jiri Liptak, David Kostelecky, Vladimir Stepan) took silver with 359 hits, leaving bronze to Spain (Alberto Fernandez, Antonio Bailon, Jose Luis Rodriguez Uris) with 357 targets. 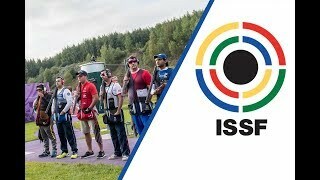 The 2017 ISSF Shotgun World Championship in Moscow Region, Russia, sees 640 athletes form 76 countries competing in 22 official medal events, including team, separate junior events, and the new Mixed Team finals. 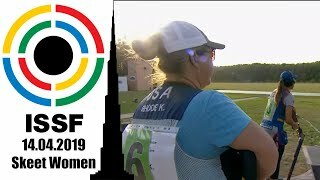 The competition will continue tomorrow, with the Trap Mixed Team event. Medal matches are scheduled at 16.30 (UTC+3). 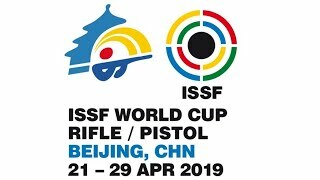 The match will be broadcasted live on www.issf-sports.org, on the ISSF Facebook page, and televised through the Eurovision network.